This study investigated the relationship between work-to-family enrichment (WFE) and family-to-work enrichment (FWE) with work-related, non work-related, and health-related consequences using meta-analysis. We conducted a meta-analytic review of 21 studies (54 correlations) for WFE and 25 studies (57 correlations) for FWE. 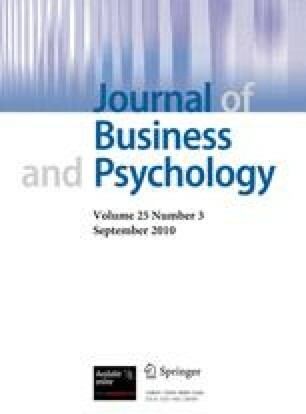 We found that both WFE and FWE were positively related to job satisfaction, affective commitment, and family satisfaction but not turnover intentions. WFE was more strongly related to work-related variables, whereas FWE was more strongly related to non work-related variables. We also found that both WFE and FWE were positively related to physical and mental health. Additionally, relationships appear to depend on moderating variables including the proportion of women in the sample as well as the construct label (e.g., enrichment, facilitation, positive spillover). Our work indicates that organizations need to consider ways to not only reduce conflict, but also increase enrichment, which will drive many important outcome variables. This is the first meta-analysis on the positive side of the work–family interface. This paper was presented at the Society for Industrial and Organizational Psychology Annual Conference in New Orleans, LA. We thank Vipanchi Mishra and Andrew D’Agostino for their assistance with coding and Sylvia Roch for her helpful comments. References marked with an asterisk (*) indicate studies included in the meta-analysis. Society for Human Resource Management. (2003, December). HR professionals see more employees struggle with eldercare. http://www.businessknowhow.com/manage/eldercare.htm. Retrieved on 19 Feb 2009.